WELCOME BACK TO SEOUL SECRETS! The second in a series of all the health, beauty and lifestyle treasures from the city that’s sweeping the nation. SEOUL! 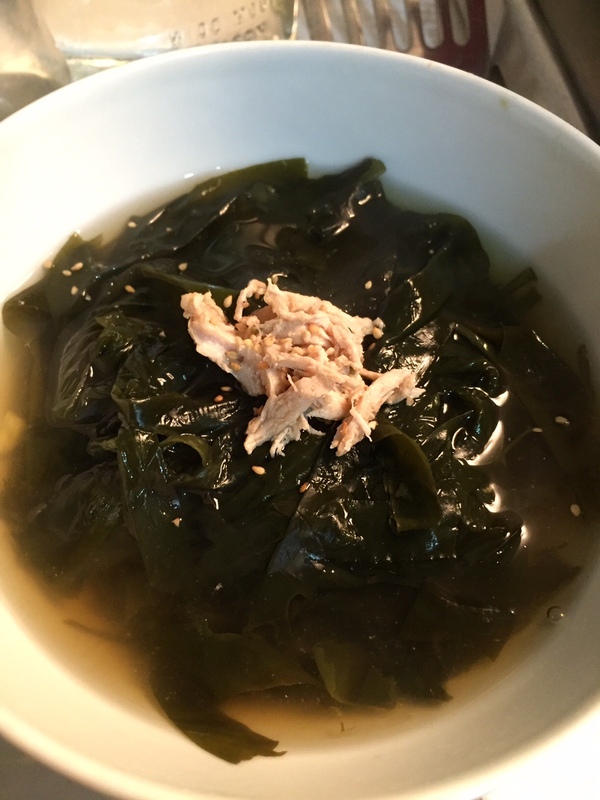 Bone broth is all the rage these days — however my go-to miracle soup has always been Miyeokguk – Korean Seaweed soup. It’s super easy to to make — and it’s nutritious and delicious (and brings good fortune) to boot! Miyeokguk – Korean Seaweed Soup is a big part of the Korean cultural tradition. Women have been known to eat vats of this during pregnancy — as well as immediately after giving birth as it stimulates breast milk production and overall health. Korean students, too, are known to eat this up as it boosts brain power and kicks those scores up a notch! 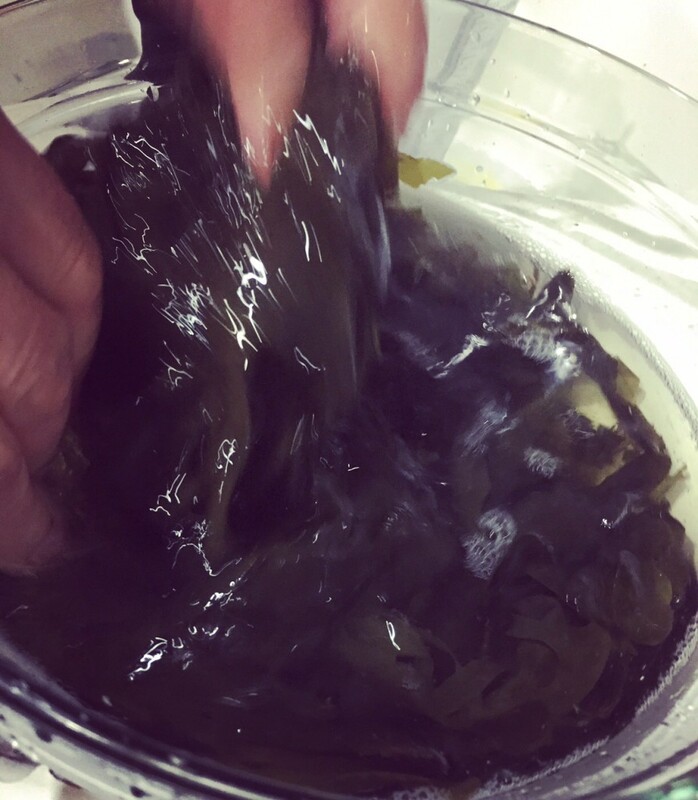 Seaweed is rich in iodine and calcium and delivers its promises – so it’s no wonder that Koreans are drinking the Kool Aid. 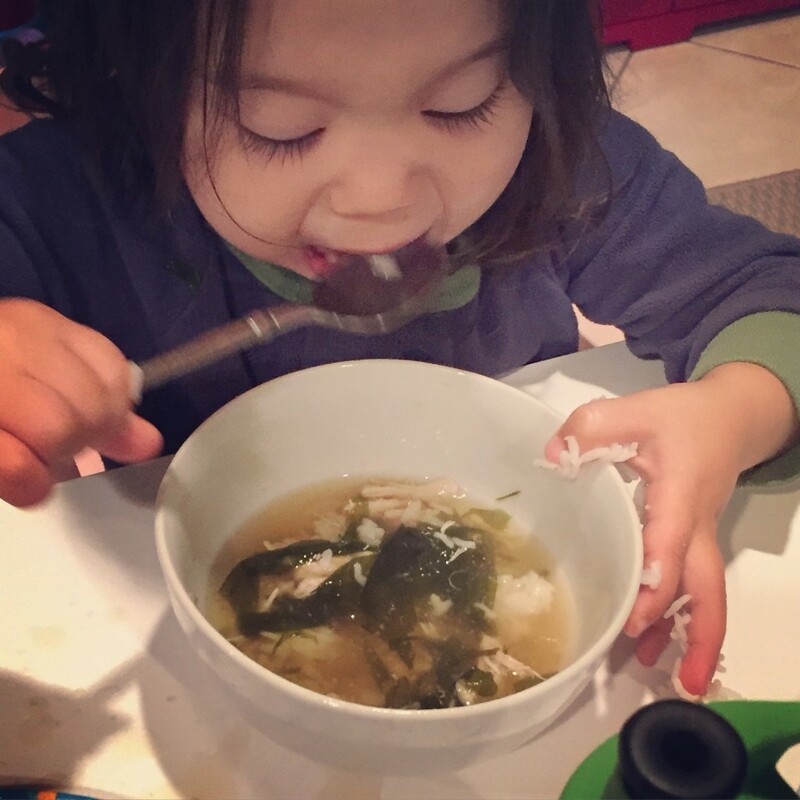 My two girls love it and always ask my mom to make the Korean Seaweed Soup no matter the day or time. 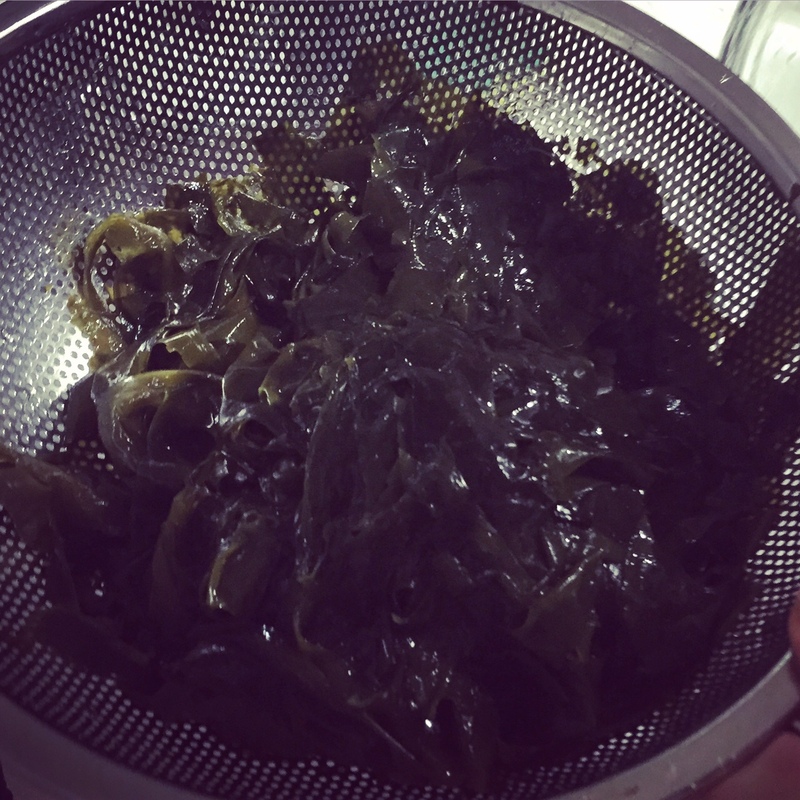 Clean the seaweed and soak in water until soft. Clean it well as it may have some sand in it. Then drain and chop it so they’re the size of your finger. Bring the chicken to boil. Boil it long enough to make a tasty broth. 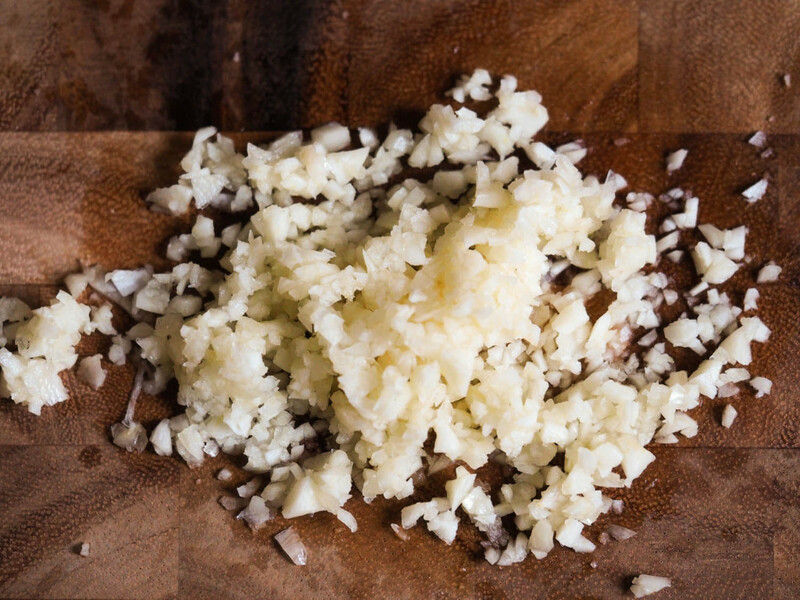 Add garlic while boiling chicken. When the chicken is done, peel the meat off the bone, shred it — and put it into a bowl. Then add gook gan jang to the broth (teaspoon by teaspoon to taste). You don’t need too much. Add seaweed to the broth. 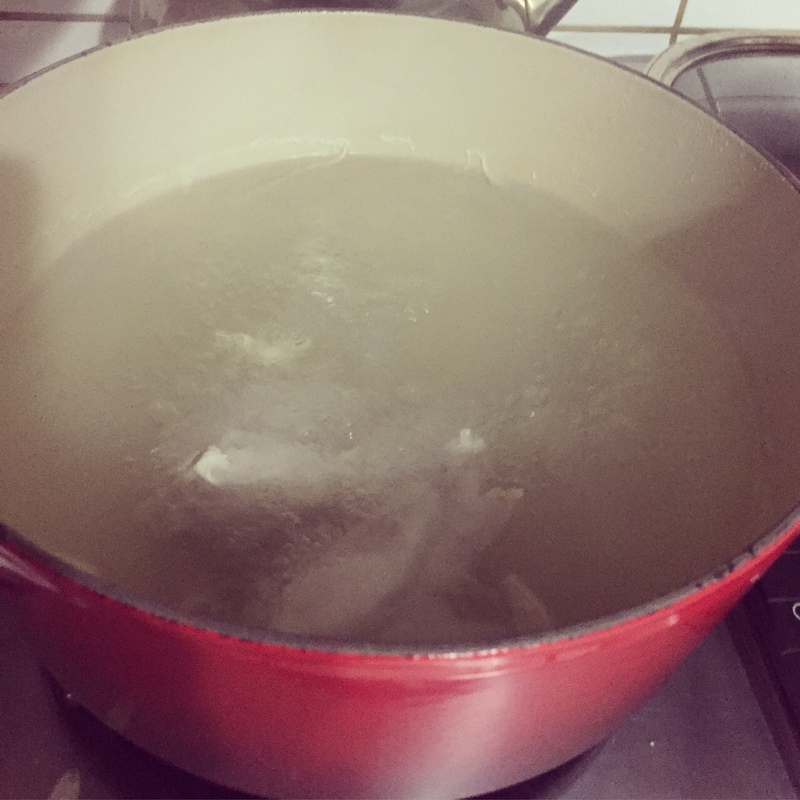 Boil for a few minutes to soften and flavor the seaweed. 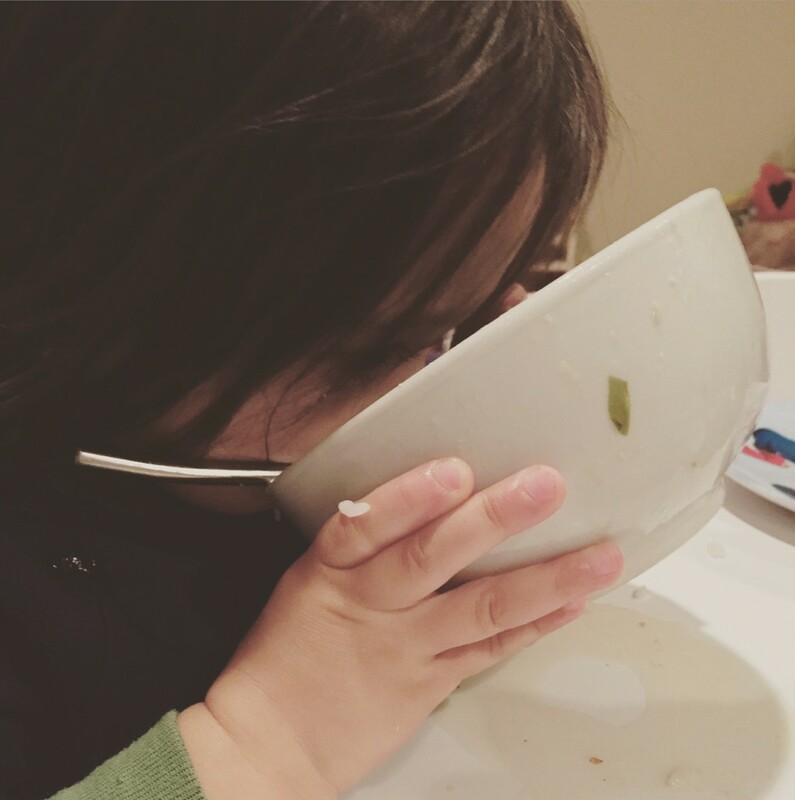 Get a bowl and ladle the broth and seaweed. Add the seasoned chicken (that you set aside earlier) on top and sprinkle with roasted sesame seed. Yum!!! I’m SO making this!!! Delish.